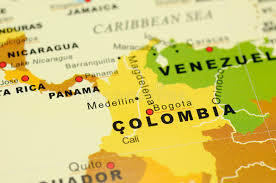 Gran Colombia Gold Corp is a Canadian-based gold and silver exploration, development and production company with its primary focus in Colombia. 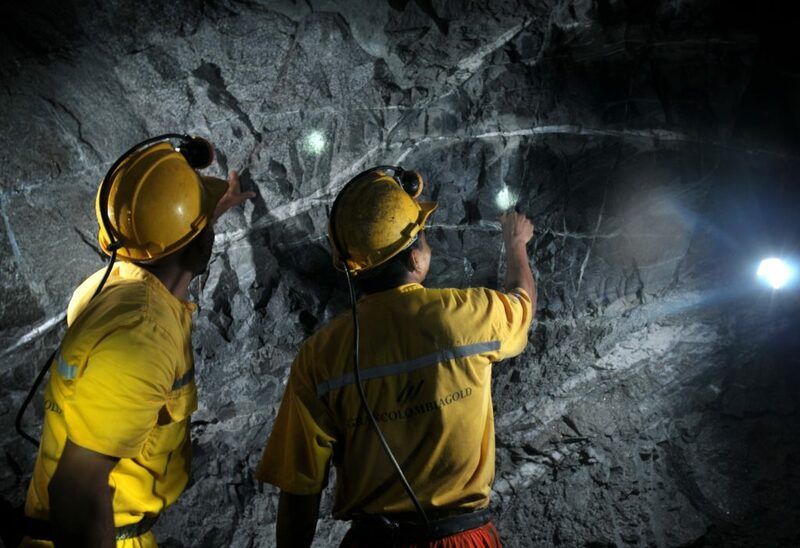 Gran Colombia is currently the largest underground gold and silver producer in Colombia with several underground mines and two processing plants in operation at its Segovia and Marmato Operations. We are continuing to expand and modernize our high grade production stage Segovia Operations. Recently extended Segovia mine life to 2026; further upside in resource expansion and exploration assets. In recent years, Gran Colombia has successfully implemented a number of cost savings initiatives, bringing its All-In Sustaining Cost (AISC) to US850 per ounce in 2016 and expected to be below US900 in 2017. 1Sourced from Company’s Press Release dated April 19, 2017. 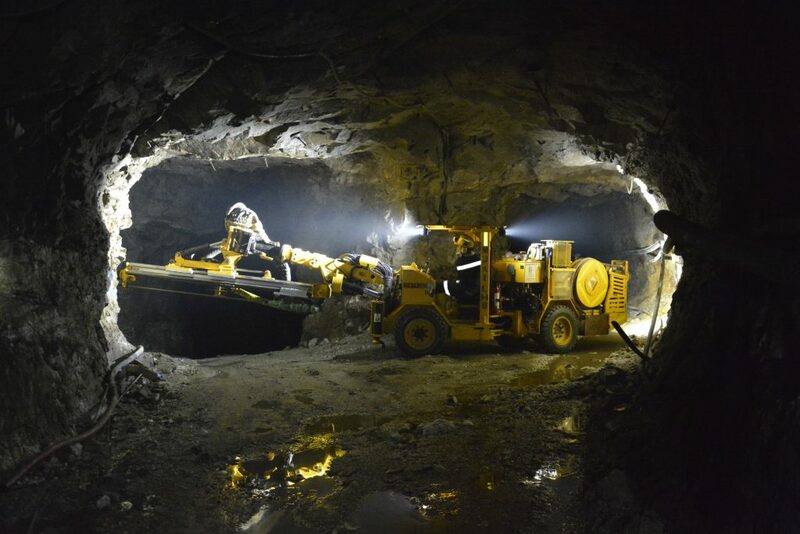 Gran Colombia produces gold from the Segovia Operations, an area of approximately 9,000 hectares in the Segovia-Remedios mining district of Antioquia. 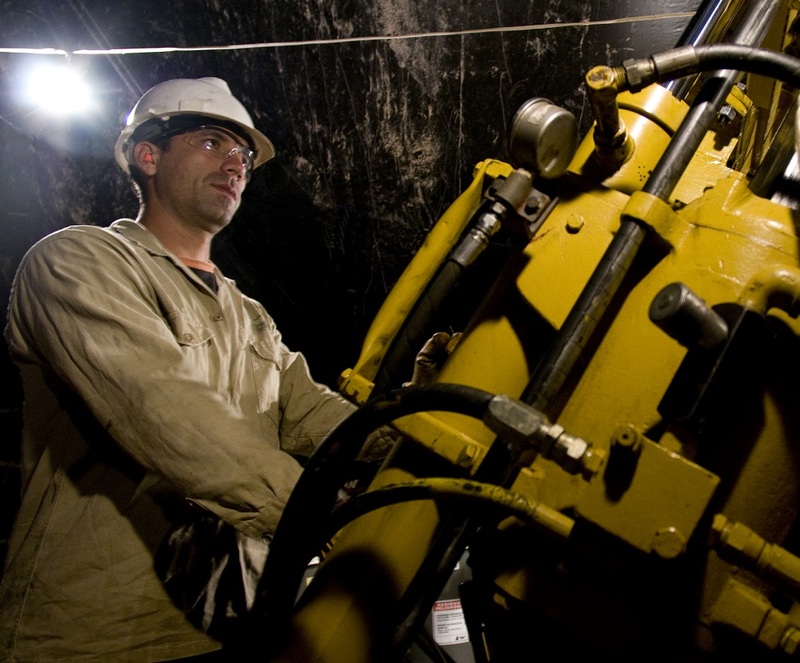 These high-grade mines have been in continuous operation for over 150 years and over that time have produced more than an estimated 5 million ounces of gold. 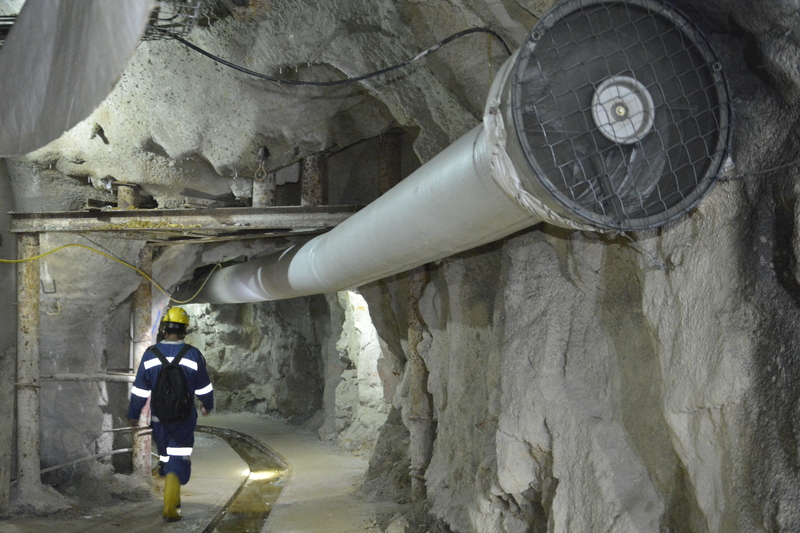 The Segovia Operations include the El Silencio, Providencia and Sandra K underground mines in the Municipality of Segovia, and the Carla underground mine in the Municipality of Remedios, located approximately 10 km southeast of the Segovia mines. Mining operations incorporate both Company-operated areas and an artisanal miner model that contracts local third party miners to work in Gran Colombia’s concessions and to deliver the ore to Gran Colombia’s mill for processing. Since taking control of the assets in 2010, Gran Colombia has initiated an extensive exploration and drilling program around the existing mines to identify new resources to be able to expand production and has commenced exploration in new areas of its concessions to identify potential new production areas. Simultaneously, the Company is in the midst of an extensive modernization program at the historical mines to introduce mechanization, to improve production efficiency and safety, and to reduce its all-in sustaining costs. 1 No open pit Mineral Resources have been declared. Derived from the Company’s Press Release dated October 4, 2017 which will be supported by a NI 43-101 Mineral Resource Estimate which will be published and filed on the Company’s website and SEDAR profile. Acquired in the 2011 merger with Medoro, the Marmato Project contains total estimated resources of approximately 8 million ounces of gold and almost 38 million ounces of silver located in the Caldas department in the heart of the Middle Cauca gold district. The Marmato Project has excellent infrastructure, being located by the Pan American Highway with access to Medellin to the north and Manizales to the south, and has access to the national electricity grid which runs near the property. The Marmato district has been exploited since pre-Colonial times by the Quimbaya people. The Spanish colonists assumed control of the Marmato mines in 1527 and the area has been in almost continuous production ever since. The gold resource of Marmato was so significant that Simon Bolivar, the revolutionary leader who liberated much of South America from Spanish rule, used the mines as collateral with British banks to secure funding for a war of independence against Spain. The various areas of the Marmato mountain were consolidated in 2009 and 2010 by Medoro: the Zona Alta exploration project, the producing Marmato underground mine in Zona Baja and the Echandia exploration project to the north. The consolidation of the different areas means Gran Colombia is in a position to explore, develop and, subject to feasibility and permitting, expand mining operations at Marmato. On October 4, 2017, the Company announced a change in the focus of the mining style from open pit to underground mining which includes an increase in cut-off grade for the mineral resource estimate and the addition of new material from the deep mineralization below the existing Mineros Nacionales mine. The Company will be filing a NI 43-101 Mineral Resource Estimate to support the most recently announced resource estimate. The Zancudo project in the Titiribí mining district of Antioquia comprises a historical gold mine, the Independencia Mine, in the Middle Cauca Gold Belt that produced about 130,000 ounces of gold with recovered grades of 14.6 g/t Au and 108.4 g/t Ag. The Independencia Mine exploited an epithermal to mesothermal, intermediate sulphidation type vein system that was exploited over 3.5 km with known depths of over 900m. Gran Colombia completed a 14,000m drilling program at Zancudo in 2011 and 2012 that focused on defining new potential resources by following the strike and shallow dip extensions of the Santa Catalina and Manto Antiquo structures that represent the extension to the south of what was mined in the historical Independencia Mine. Gran Colombia halted further exploration work on this property following the gold price collapse in 2013 to focus on the modernization project at its Segovia Operations. Mr. Paredes assumed the role of CEO effective February 1, 2014 and brings to his position over 20 years of corporate leadership and operations management experience in the resource sector in Latin America. Before becoming an independent consultant on energy and environmental project development, Mr. Paredes held several roles with within Petroleos de Venezuela (PDVSA). He was responsible for regional planning of investments and social development for Eastern Venezuela, and was Managing Director and a Board Member of Maraven S.A. (an affiliate of PDVSA), with responsibility for the construction and commissioning of the Cardon Refinery Conversion Project in Venezuela, a US$2.6 billion project and was General Manager of its Production Operations Division, with 5,000 employees and oil production of 800 KBbls per day. Mr. Paredes holds a Bachelor of Science in Mechanical Engineering and Master of Economic Analysis and Financial Economics. Mr. Davies is a Chartered Professional Accountant (Ontario) with over 20 years of extensive international and public company experience in financial management, strategic planning and external reporting in resource and other sectors, including management positions with PetroMagdalena Energy Corp., Coalcorp Mining Inc., Medoro Resources Inc., LAC Minerals Ltd. and Pamour/Giant Yellowknife Mines. Mr. Davies also holds a Bachelor of Commerce degree from the University of Toronto. Mr. Noguera Gomez has been Vice President, Corporate Affairs for Gran Colombia Gold since June 2012. His career in the Mining and Energy sector began in 1993 when he worked with ExxonMobil, responsible for managing the company’s public and government affairs strategy, becoming an effective liaison with the legal, judiciary and congressional branches of government. Mr. Noguera Gomez is an Attorney with a Masters in Insurance Law, a certified stock trader and also holds an M.B.A from INALDE. He is responsible for managing the Company’s Sustainability, Public Affairs, External & Government Affairs strategy. Mr. Cecchi is an exploration geologist with over eighteen years of experience, with a focus on gold exploration and development in South America. Prior to joining Gran Colombia, Mr. Cecchi was Corporate Technical Manager at Medoro Resources, and also held senior geologist positions at Hecla Mining, Dotly Financial and Gold Mines of Sardinia. Mr. Cecchi served as exploration geologist at Bolivar Goldfields. Mr. Cecchi has a Bachelor of Science degree in Geology and a Master of Science degree from University of Tierra in Pisa, Italy. Mr. Iacono has over twenty-eight years of experience in capital markets and public companies and has raised more than four billion dollars for numerous natural resource projects internationally. He is currently a director of U.S. Oil Sands Inc. and is a former Co-Chairman and an Executive Director of Pacific Exploration and Production Corporation and a former director of Petromagdalena Energy Corp. Mr. Iacono was also a co-founder of Bolivar Gold Corp and Pacific Stratus Energy, among others, and is involved in numerous resource and business ventures in Latin America, Canada and United States. Mr. Ashcroft has been involved in various capacities in the global mining industry and the North American and European debt and equity markets since 1990. Mr. Ashcroft served as President and Chief Executive Officer and a Director of Stonegate Agricom Ltd. from August 2008 to September 2014 and, Executive Vice President, Corporate Development of Canada Lithium Corp. from September 2009 to April 2010. From 2007 to 2008, Mr. Ashcroft worked at Versant Partners, where he was responsible for successfully developing a mining finance business for that firm in sales, trading and corporate finance. Prior to joining Versant Partners, Mr. Ashcroft had been employed since 2003 with Toll Cross Securities Inc., a boutique institutional firm in Toronto where he became Managing Director and Head of Investment Banking. From 2001 to 2003, Mr. Ashcroft was a member of the Mining and Metals Team at Standard Bank’s New York office where he was responsible for providing metals trading and project financing solutions to mid-tier developers and producers in Canada and Latin America. From 1999 to 2000, he was a member of the Mining and Metals Team of Barclays Capital, a leading provider of project finance to the mining industry. From 1996 to 1998, he worked in Mines Technical Services at Inco Limited’s Ontario Division, where he qualified as a Professional Engineer in Ontario. From 1990 to 1996, through his undergraduate studies, Mr. Ashcroft worked in various operating roles in North and South America and Australia. Mr. Ashcroft holds his Bachelor of Engineering (Mining) from Laurentian University and a Master’s of Science (Finance, Regulation and Risk Management) from the ISMA Centre of the University of Reading. Mr. Couch is an investor who currently works as a Principal at 683 Capital Management, LLC, where he began his career in investing from 2007-2010 and returned in 2012 after completing a business degree. Prior to this, Mr. Couch worked at Wachtell, Lipton, Rosen & Katz, a New York based law firm. He is a graduate of Harvard College and the Stanford Graduate School of Business. Mr. Martinez served as the Colombian Minister of Mines and Energy from July 2006 to August 2010 and he has also served as President of International Colombia Resources Corporation, Chairman of the Board of Atunec S.A., President and Chief Executive Officer of Exxon Mobil Colombia S.A., and Manager of Corporate Planning for Esso Colombiana S.A. Mr. Martinez currently sits on the Board of Directors of Pacific Exploration & Production Corporation and CB Gold Ltd. Mr. Martinez was previously director of various private and public companies, including Interconexion Electrica S.A. ESP, Transmision Electrica S.A., and Inversura S.A., ISAGEN Energia Productiva, and was Member of the Board of Ecopetrol. Mr. Martinez has also served as Council President and Representative of the President of Colombia at the National Hydrocarbons Agency. Mr. Martinez holds a degree in Chemical Engineering from Universidad Pontificia Bolivariana, and specialized in Petroleum Management at Northwestern University. Mr. Perez has over 30 years of experience in finance and capital markets. He was the Executive Chairman (since 2011) and director of PetroMagdalena since 2009 and is the founder and is managing director of Nextventures Corp., a financial advisory firm since 2005. He was founder and managing director of Andino Capital Markets in 1996; Vice President of Vestcopartners Inc. from 1991 to 1995; and Vice President at Citibank in Caracas from 1990 to 1991. He also serves on the board of Pacific Coal and has acted as director and advisor to a number of Latin American companies and business guilds. Mr. Perez holds a Masters of Economics from the London School of Economics. Mr. Wellings is a mining professional with over 25 years international experience in both the mining industry and mining finance sector and is currently a Director, President and the Chief Executive Officer of Eurotin Inc. From 1988-1994 Mr. Wellings worked in the industry with a variety of companies and roles including Derry, Michener, Booth & Wahl, Arimco N.L., Inco Ltd. and Watts Griffis McOuat, acquiring valuable hands-on experience in exploration, development and production. In 1996, Mr. Wellings joined the investment dealer GMP Securities L.P. where he co-founded the firm’s corporate finance mining practice. During his 18 years at GMP, Mr. Wellings was responsible for, and advised on, some of the Canadian mining industry’s largest transactions, both in equity financing and M&A. Mr. Wellings is a Professional Engineer and holds a master of business administration degree and a Bachelor of Applied Science degree in Geological Engineering. 1 The Capitalization table will be updated at the end of each month.